NEW YORK (WABC) -- Grandmaster Flash/Melle Mel, Public Enemy, Nas are hip-hop artists who brought messages of social change to their rhymes. The artists used their platform to raise awareness of everyday life in their world. They chronicled the good and bad. The light and darkness holding back little. The hope was their perspective could possibly bring positive change. Enter Eminem Tuesday night. The artist known as one of the best writers in the history of hip-hop unleashed a freestyle rap questioning immigration policy, race relations, the misconception of NFL athletes and a presidential legacy. He needed just a few minutes. 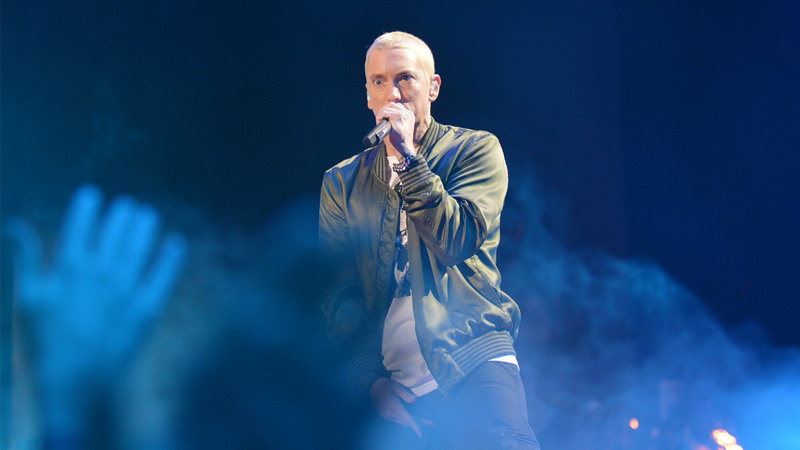 Eminem called the rap, "The Storm." A clear reference to words used by President Donald Trump during a White House dinner with top military leaders. The president described the meeting as, "The calm before the storm." Eminem also touched on the calamity storm survivors in Puerto Rico are facing, "When he attacks the NFL so we focus on that/Instead of talking Puerto Rico or gun reform for Nevada/ All these horrible tragedies and he's bored and would rather/Cause a Twitter storm with Packers/Then says he wants to lower our taxes/Then who's gonna pay for his extravagant trips." Now the question is, what happens next? Will his words help mobilize social change and increase awareness as some of the hip-hop greats of New York? One thing is certain. Eminem's "Storm" was anything but calming. The Trend: Stephen Curry's adorable daughter is back!